I happened to catch an interview on Radio New Zealand the other week which really pricked up my antennae. It was an interview with Gretchen Rubin, author of The Happiness Project, talking about her new book Better than Before. The Happiness Project has sold over 1.5 million copies and struck a chord with people all over the globe. It follows Gretchen’s pursuit to discover what truly makes her happy, and contains a lot of scientific research and wisdom on how to increase your own happiness. She followed that up with the engaging Happier at Home, which charts Gretchen’s experiments to improve several aspects of her life related to her home, including her possessions, her marriage, her children and wider family, her engagement with her community. In this interview with Kathryn Ryan (if you are really interested I would listen to it now as I don’t know how long Radio NZ keeps their podcasts online for), Gretchen talks about how creating new habits truly can transform our lives. Gretchen argues that if there is something about yourself that you don’t like and want to change, one of the most effective ways to create a lasting change is to form a new habit. A change needs to become that ingrained if it is going to stick long-term. Gretchen states that our habits are the building blocks of our lives, and are so ingrained that we rarely think about them. Most of us don’t think ‘Shall I brush my teeth today?’ We just do it as part of our daily routine. Therefore she argues that our habits can be the most effective scaffolding for creating a you that is better than the old you. She goes on to say that in order to successfully create a new habit (like giving up sugar), you must understand how your personality affects the way in which you form habits, because habit formation is not a one-size-fits-all thing. In her research she discovered that most of us fall into one of four groups: Upholders, Questioners, Obligers and Rebels. You can take a quiz here to find out what you are. For example, a questioner has to be convinced that changing something about themselves by forming a certain habit really is the best thing for them. I am an obliger, meaning I often overlook my needs for that of others, so forming a new habit which benefits myself is tricky. If we don’t get our strategies right, new habits just won’t stick. What I love about Gretchen’s work is that she is PRACTICAL. I have read much about habit formation in my time, and none of it makes as much sense to me as her work does. There are a lot of myths out there (like it only takes 21 days to form a new habit), and Gretchen has sifted through it all. She has some great-yet-simple strategies for the different personality types e.g. say if you are an obliger like me and you want to exercise more – exercise with a friend who will be miffed if you don’t show up, because it is the accountability to someone else that is the key ingredient here. If you want to know more, buy the book! She also talked about ‘abstainers’ versus ‘moderators’. Moderators are the sort of people who can have a block of chocolate in their desk and eat a square or two a day. Abstainers are people like me, who would scoff the lot straight away, so they find it EASIER to just abstain from chocolate altogether. What this means is that if you are struggling to give up sugar (or carbs, or alcohol, or whatever) it might be because you are an abstainer. Having sugar in the house, or indulging in it here and there is not the best strategy for you. Obviously what she said resonated with me. Completely abstaining from sugar has worked for me far better than only having a bit here and there. Saying no to offers of treats from well-meaning friends and family is much easier for me than eating it and dealing with the horrible consequences (feeling tired, spike in appetite, craving more sugar etc.). Anyway, after listening to the podcast D and I talked about some things about ourselves that we’d like to change, and how we might do it, armed with this new knowledge. D is an obliger too (although with very strong questioner tendencies) and wants to cut down his use of his smartphone. He has enlisted me to call him out whenever I see him using it either too much, or at an inappropriate time, i.e. while the kids want to play with him. In turn, as my accountability person, I have enlisted D’s help to ensure I get out of bed early each morning to exercise. As I am an abstainer I have also decided to exercise every day, so that longer lie-ins are just not an option. Hopefully exercise first thing in the morning will be just something that I do, just like brushing my teeth. Having recently read Happier at Home, I have been inspired to launch a similar project. I will be posting more detail on this soon. If you have some bad habits that you’d like to replace for healthier ones, I highly recommend having a read of Gretchen’s website and books. 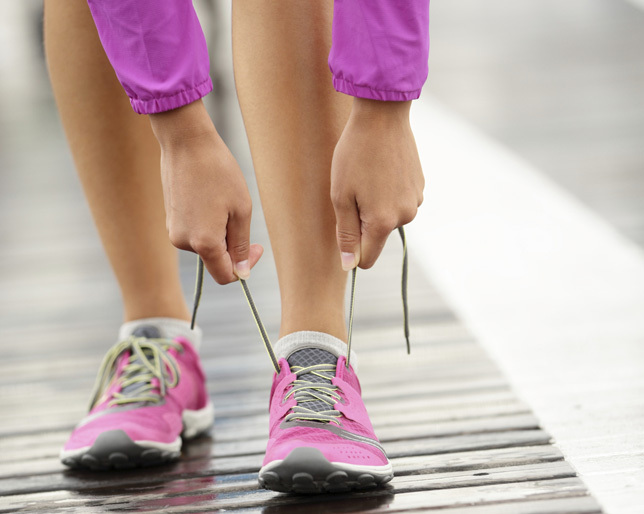 What ‘new habit’ strategies have worked for you in the past? I have indulged in some rather spendy. spendy behaviour this week – all because I was in a bad mood. Not great when you are on a Dollar Diet! We went slightly over our grocery budget buying lunch for the troops who were cleaning up the flooding at my parent’s house. Well-fed workers are happy workers, and I don’t begrudge a cent. D has to go to Wellington for a couple of days once a month for work. We had to put these trips on hold for a few months while we dealt with our reflux baby, but I no longer gnash my teeth and wail about them since Chip is so much easier now. The problem with his trip this week was me. I’m sick. I have some sort of chest infection that has really laid me low and I was feeling so hard done by at having to manage the kids on my own. 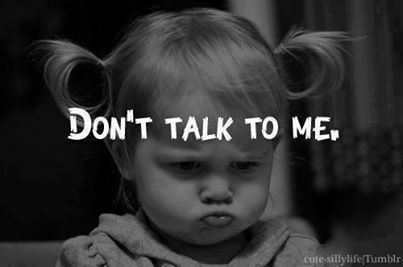 I am not a saintly person who soldiers on with nary a complaint when I am sick at the best of times. I tend to become six years old again. Okay, who am I kidding? Three. I become three years old again. My mum says I am like a bear with a sore tooth, and that’s being kind. I want to be coddled and cossetted and taken care of, and spend the day in bed, having soup, and milky cups of tea brought into me. Not look after my beautiful, fun-loving, ENERGETIC children. Me, me, me!!! As I was (and still am) contagious, dragging my sorry carcass to Playcentre was not an option. But I needed something to do with my tots if we were all to survive the long, tedious day ahead. Infecting strangers seemed like the way to go, so we headed off to the airport to watch planes. We had a brilliant time, and saw an entire fleet of helicopters who were all part of the rescue/flood damage assessment crew. Hopefully the nice lady at the airport cafe who gave Sausage a free fluffy hasn’t been infected by my ghastly germs. To soothe my hard-done-by spirit I ate all the pies. And had copious cups of tea, and generally bought crappy food to eat all day. And the next day. And I bought some clothes because I ‘deserved it’ (for my martyrdom, clearly). At least they were second hand. So yeah, not my best week. I am an emotional spender (and eater) and while it is great that I can spot this and reflect upon it – I want to do better. I want to be better. Oddly enough I have just started some ‘inner work’ on habits. It’s been a fascinating exercise so far, and I have a lot more research and experimentation ahead of me (I will be posting more about this soon). My emotional spending and eating will definitely be on my hit list! We had a heck of a weekend here in Whanganui. 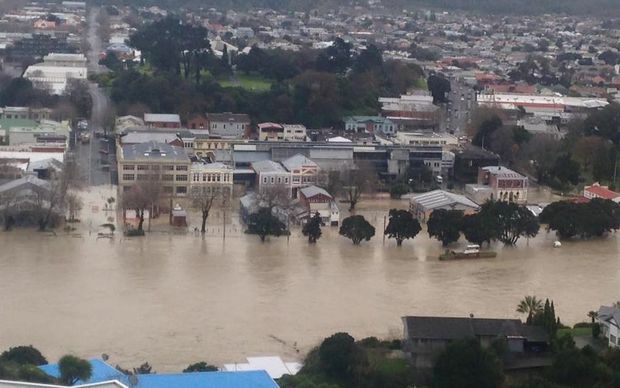 A months worth of rain was dumped upon us over two days, causing the worst ever flooding in the region on record. Our city is bisected by a river which spilled over the stopbanks and flooded many homes and businesses on the waterfront. 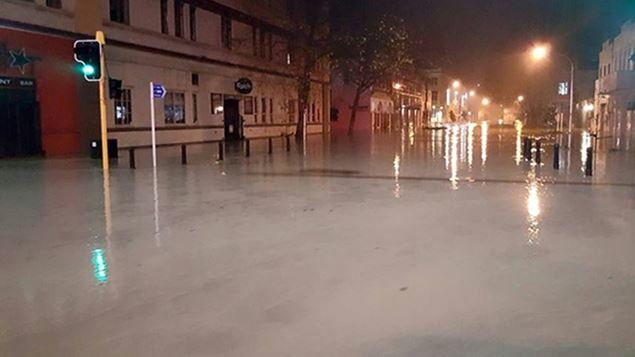 The Sarjeant Art Gallery, where D and I had a fantastic night on Friday (another wonderful Pecha Kucha evening) was flooded only hours later. Over 250 people were evacuated from their homes, many people losing everything and without insurance. Bridges were either unsafe to use or submerged in water, and slips cut off several main highways causing havoc. It may be several weeks before roads in very rural areas are re-opened. The clean up around the city and elsewhere will take months. D and I spent the weekend mopping up at my parent’s house. They were spared muddy river water, but a problem with the storm water separation has seen part of their house flood in the past, and this time was no exception. At one point on Saturday we had just finished cleaning up the water when the heavens reopened and sent more water back into the house. I thought we might be stranded as our car had to navigate a heavily submerged street as we left my parent’s house. I have never seen rain like it in all my life. We managed to get everything cleaned up by Sunday lunchtime, but the stress and disruption was palpable. Such events remind me that though we humans think we are ‘masters of the universe’, we are not. We are always at the mercy of the elements. In earthquake-prone New Zealand, we know all too well that our lives are not built upon the firm ‘rock’, but on unforgiving and unpredictable ground. Life is uncertain. We think we know where we are going. We have it sorted. But we are not in charge of Mother Nature despite mankind’s best efforts. It takes very little to bring us to our knees. But in times like these, that imperfect-yet-radiant-goodness of the human spirit is always evident. People are cleaning up and carrying on. Already, there are many stories of kindness and generosity bestowed to those affected by the flood. As soon as it became obvious this was no ordinary downpour, local Facebook pages were abuzz with offers of accommodation, transport and help. I’ve heard of people getting out in their kayaks to help rescue pets. People making hot meals for rescue workers. Neighbours are helping neighbours. Today, high school kids armed with brooms and spades got stuck in to clean up streets covered in silt and debris. For many, life will not return to normal for some time. 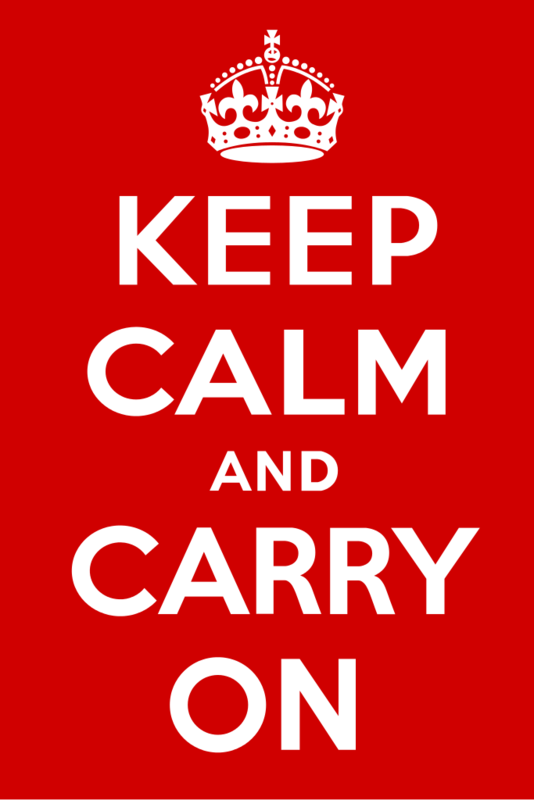 But carry on it does. Apologies to my Northern Hemisphere THM readers, but we in New Zealand are in the throes of Winter (not that it gets very cold in Whanganui), and for me this means lots of hearty stews and soups. If you are currently sweltering in the summer heat, pin this for later. 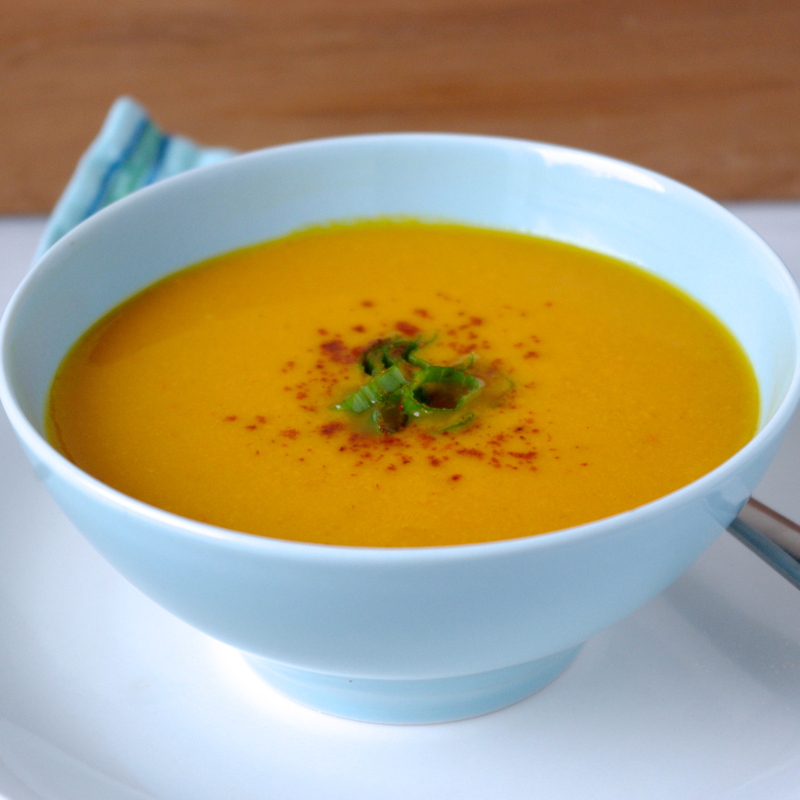 Here’s a great winter warmer for you, a favourite recipe that I have THMified. In terms of prep, it’s not quick, as you have to cut and peel a pumpkin (if anyone has a super-fast method for doing this, please let me know! ), but once you’ve done that, it’s cinch to throw everything else in the slow cooker and leave it for the rest of the day. Preheat slow cooker while you prep the ingredients. Place pumpkin, kumara, tomatoes, onion, pepper and stock in the slow cooker. Cover and cook for 5-7 hours on high. Add curry powder, cumin and almond milk. Puree using a stick whizz or food processor. I just spent a couple of weeks worth of Dollar Diet savings in two days. But that’s life hey. Expensive things happen from time to time whether you want them to or not. Sausage was born with a club foot and is being treated by Wellington Hospital. She’s had excellent care from the orthopaedic surgeons there, and we were more than happy to continue making the three hour trek to Wellington for her check-ups when we moved to Whanganui. These check-ups are always held first thing in the morning, which means staying in Wellington the night before, or leaving Whanganui at 5am. We’ve done both, and I think it’s fair to say that overnight stays are way more fun for everyone. Accounting for absolutely every last item of expenditure on the Dollar Diet made me realise that we hadn’t factored in these trips to Wellington (once every 6 months), and given the cost of accommodation and petrol, that’s a pretty big hole in our budget. We could stay with friends and family, but because I am a poor sleeper I don’t like to share a room with my kids (I need to be able to function enough to drive etc) we usually stay with some of my favourite people at the Home of Compassion in Island Bay. The Sisters of Compassion run a retreat centre, and are always more than happy to let us stay. It’s cheaper than a hotel, and I get to catch up with the Sisters, who are some of the best people on this planet. I spent money on dinner at my favourite restaurant (a total indulgence, although it is not an expensive place), and on fabric for craft projects I will make as Christmas presents, but otherwise I looked for ways to spend little or no money. Sausage and I headed off on our girl’s trip after breakfast, armed with a home made lunch, and two days worth of toddler snacks. 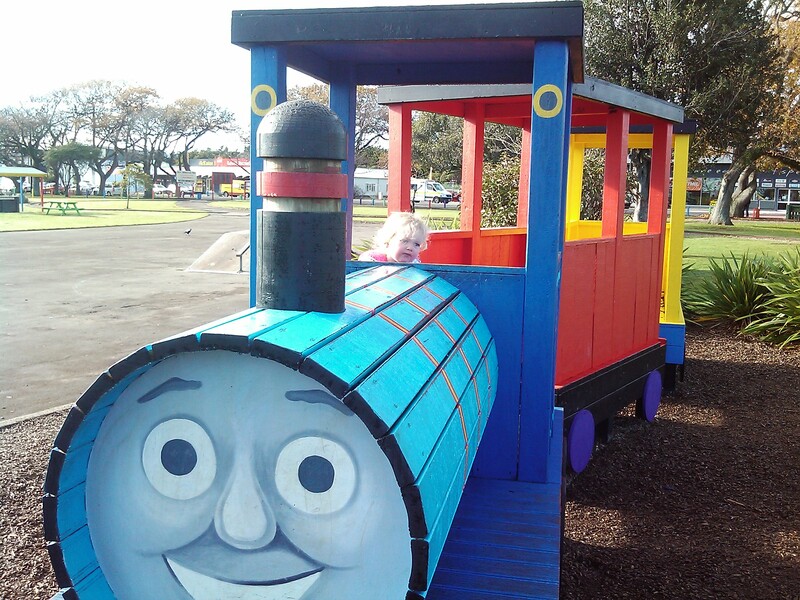 We stopped at Levin’s awesome Adventure Park which is a free playground with a huge variety of play equipment (I myself love to play on the ‘hamster wheels’), and it has a FREE train that runs at the weekends and holidays. Levin Adventure Park lacks the charm of Whanganui’s own fabulous Kowhai Park, but it makes up for it in cool and unique play equipment. Levin is only an hour’s drive from Whanganui so I have plans to spend lots of time there with my kids over summer. It is such a great opportunity to stretch bored little legs that we stopped there on our way home too. After we arrived in Wellington we caught the bus from our accommodation to our national museum, Te Papa (or Papa’s, as Sausage is now calling it). I must have been there a hundred times, but I never tire of Te Papa. It is so kid-friendly, with plenty of ‘yes’ spaces for children. 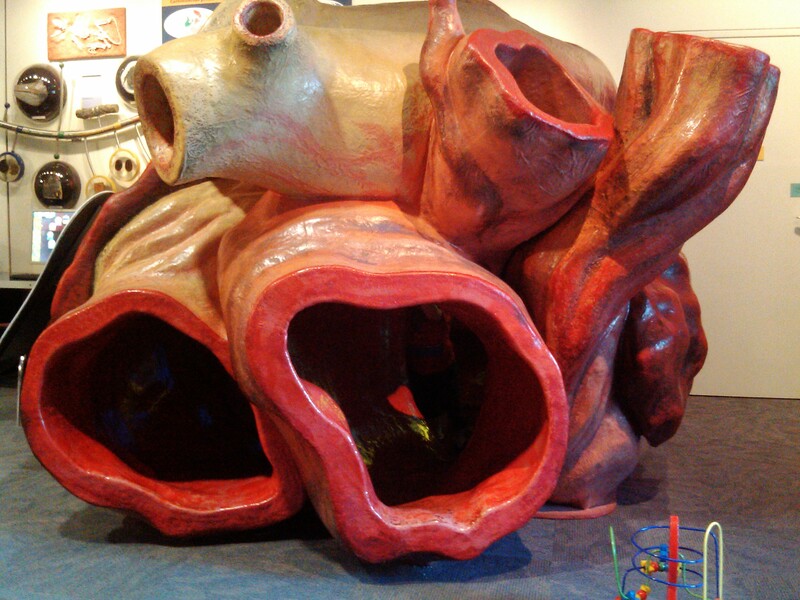 Yes, you can climb on that replica of a whale’s aorta(!). 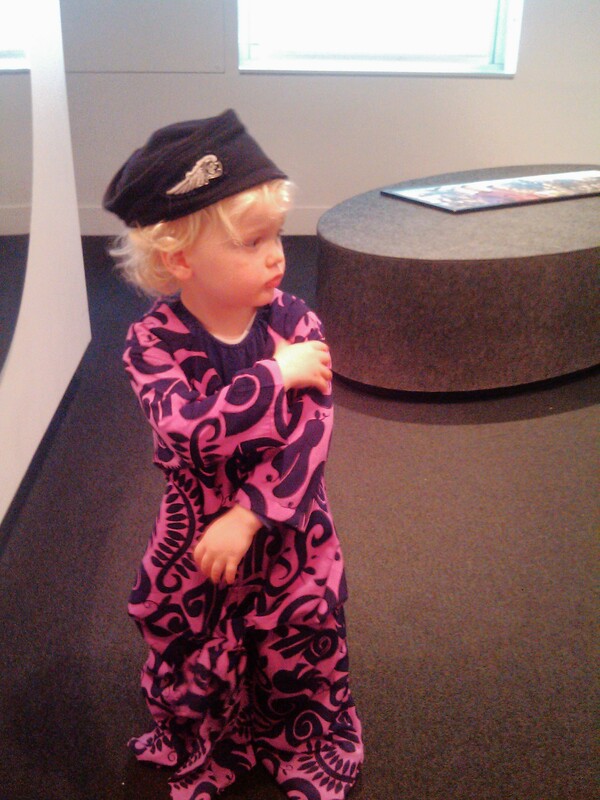 Yes, you can dress up as an Air New Zealand flight attendant. 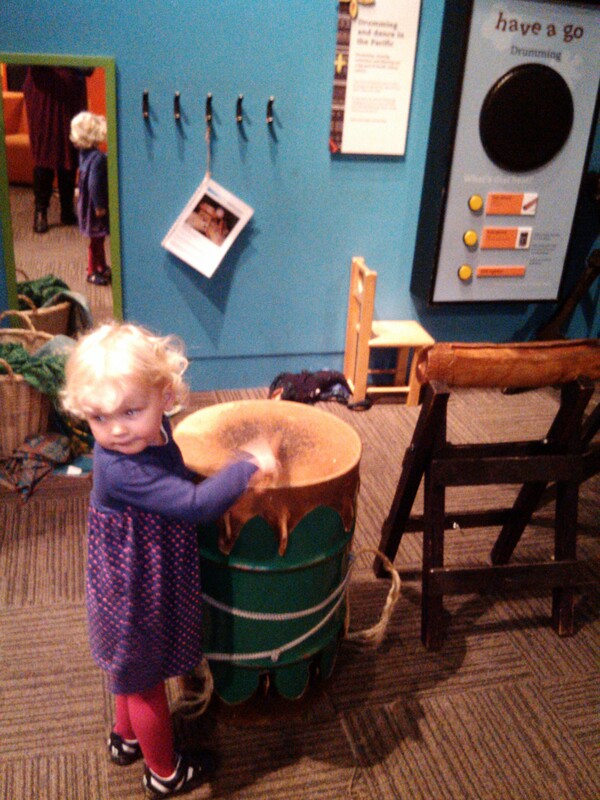 Yes, you try out the Pasifika drums and bang as loudly as you want. Te Papa (which means ‘our place’ in Maori) is FREE (there is a charge for some exhibitions) and is a world-class place to take your children to. Sausage and I spent a good hour-and-a-half there, which is like 5 years in toddler-time. As well as static exhibitions on New Zealand’s history and geography, the other exhibitions change frequently, and when I lived in Wellington I was often to be found attending their lectures and events (I am SUCH a history nerd). Anyway, the kiddo and I had a lovely road trip. I enjoyed having all that time with just the two of us. The kid cracks me up with her antics, and I enjoy watching her interact with the people she meets. Sausage charmed the lady she sat next to on the bus home so much that by the end of our journey, Sausage was sitting on her lap, telling her stories about ‘Papa’s’ and asking her if she knew how to ring the bell on buses properly. Oh, and the doctor said her foot is doing beautifully. To me, that’s priceless. Even though it’s Friday here in NZ, technically speaking it’s still Thursday for many of my readers so today’s post still counts, right? 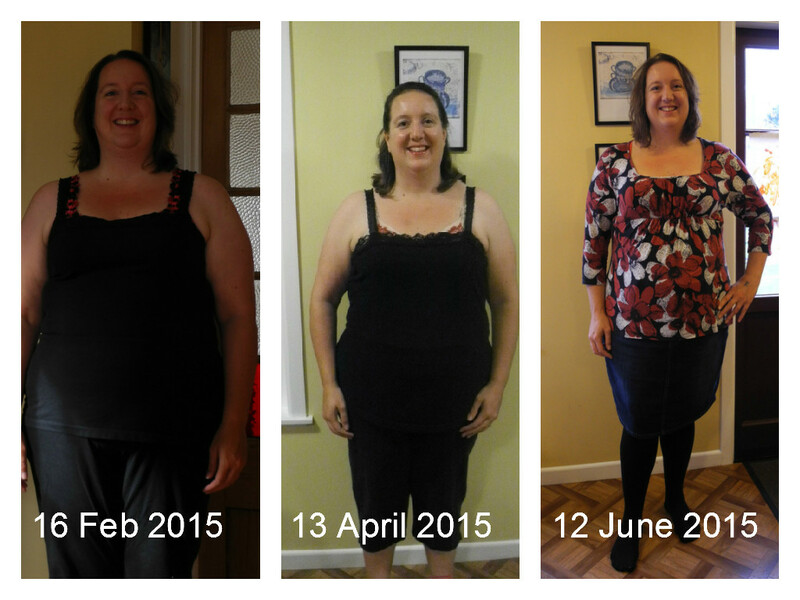 I have been doing THM for four months now and thought it was time for another photo update. I’m sooooo glad I’ve chosen this way to measure my progress because I was starting to get somewhat discouraged, as I think I have hit a bit of a plateau at the moment. All I can say is if you are doing THM: throw away the scales and take photos to measure your progress instead. I’ve lost about 7 kilos during the four months, but as you can see from the pictures below it looks considerably more than that. My husband loves to joke that I am wasting away. Whilst I’m certainly not in any danger of that, he is my biggest supporter and cheerleader and I appreciate the encouragement. I may not have dramatic results like some THMers, but it IS working. (Wahoo!) I don’t use any special ingredients as we are on a tight budget. You can read here about how I keep it simple. 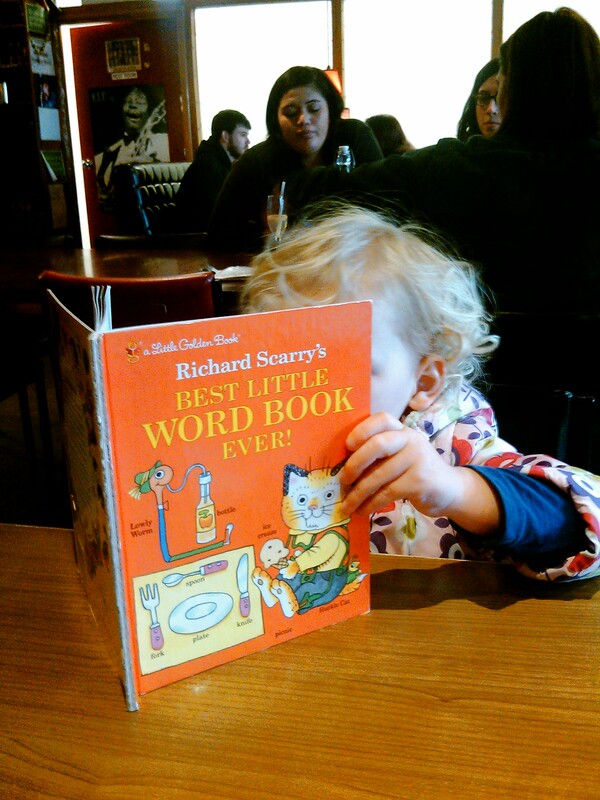 At the weekend my MIL, Sausage and I went to a huge vintage craft market held at Feilding. I had initially baulked at the $5 entry fee, but an advertising blurb made the market sound like it would be a great place to source materials to make crafts from, so this was the main attraction for me. I have several gifts/sewing projects I want to start but I am on the hunt for some great fabric. The market was awesome, but was NOT a place to source much craft material unless you were into jewellery or card-making. All the other stalls were filled with people selling the crafts they had made themselves. While this was disappointing, it wasn’t a wasted trip – I managed to find the perfect gift for my BFF and scored a wooden ‘threading tree’ for only $5 (perfect to help my kids with their fine motor skills). The rest of the week was pretty frugal. We bulk bought some ground beef and still managed to underspend on groceries – hooray! I harvested another load of apples from one of our trees, and gathered the last gasp off our feijoa tree. I got two dresses and a top for Sausage at a ‘bring and swap’ table at one of the playgroups we go to. If your playgroup doesn’t do this, I highly recommend asking the organisers to start one. It’s very easy to set up, and really just needs one person to take care of it. You bring clothes, shoes etc that your tot has grown out of, and take what you need. Simple. I have never seen anyone abuse this system. Sausage was particularly thrilled with her new/old Dorothy the Dinosaur (from the Wiggles) T shirt I found in the clothing pile. D had reason to celebrate last week after some hard graft, and really wanted some beer. We rarely drink most of the time so we had none in the house. D had enough money from his own ‘allowance’ to cover it. We both have a tiny weekly allowance that pays for our life insurance with a little bit left over to spend on whatever we want. As both of us almost never spend it, we have enough money to cover occasional treats like this. If I need more money that I currently have, I look for ways to make it, like selling something on Trade Me. This has been an incredibly useful habit that the Dollar Diet has gotten us into. Instead of mindlessly giving myself a treat because I/D/the kids have ‘earned’ it, I really have to give it some thought. For instance, raising cash to buy D’s Father’s Day gift is already on my radar despite the fact that it’s not until September here in New Zealand. The kids can make him something for free, but there is something else he really needs that I cannot make myself and will have to buy (oooh, so mysterious).